To tackle the issue, Nielsen said that it plans to incorporate audiences viewing TV content on digital devices into traditional TV measurement for the 2014-15 TV season. To help the effort along, it has now announced that it will make the software developer kit (SDK) that enables this measurement available for implementation in mid-November. For the past several months, Nielsen has been sharing with clients and industry leaders how it plans to take into account second-screen viewing in its measurements in order to gain a more accurate picture of overall television consumption. “We’ve been working hard to deliver this new SDK and are excited to be able to deliver a single client solution that supports both the linear (TV-style) and dynamic (Internet-style) ad models," said Megan Clarken, executive vice president and global product leader at Nielsen. "This unified encoding approach for video enables measurement to follow content across screens and ad models." For example, if a broadcaster makes a TV show available for viewing on a digital device and it meets the ad load and timeline requirements for TV ratings, then that viewing will credit to the Nielsen TV ratings. 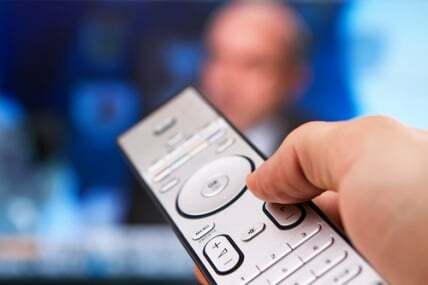 If that content is not eligible for TV ratings—due to elapsed crediting time, dynamic ad insertion or because it originated from the Web itself—then the viewing of it will be included in Nielsen Digital Ratings, specifically Nielsen Digital Program Ratings for content ratings and Nielsen Online (News - Alert) Campaign Ratings for the ad rating. In order to capture the breadth required to measure mobile viewing, Nielsen plans to use big data analytics and a census-style measurement approach that matches demographic information in what it says is a “privacy safe way,” via data providers, such as Facebook (News - Alert), and then caibrates it with Nielsen’s National People Meter panel. “The best part about this approach is that the patent-pending Nielsen technology behind the SDK will know where to credit the viewing, because it will analyze the audio watermarks, metadata or tags associated with the content and related advertising,” the company explained.